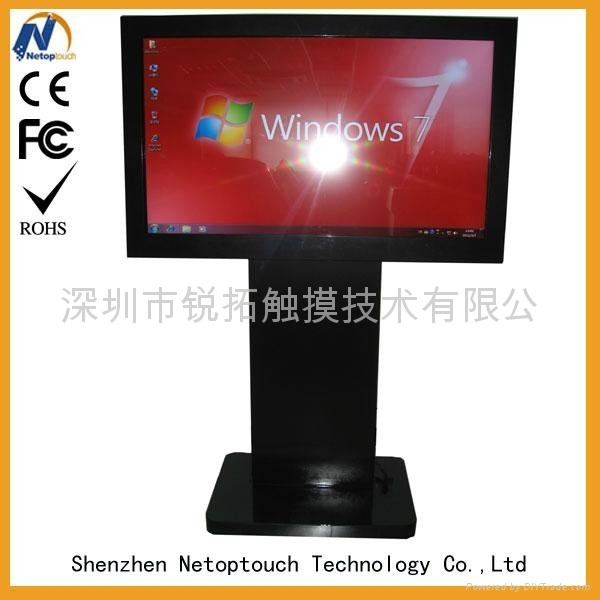 Big size touch screen kiosk: Usually we call those touch screen kiosks which with 32''37''42''...70'' monitor as big size touch screen kiosk. 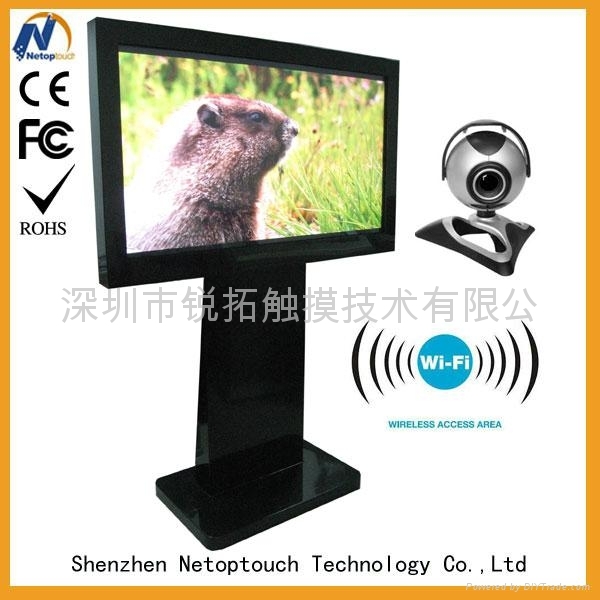 Normally, for 32''37'' big size touch screen kiosk, we always use TFT LCD monitor. 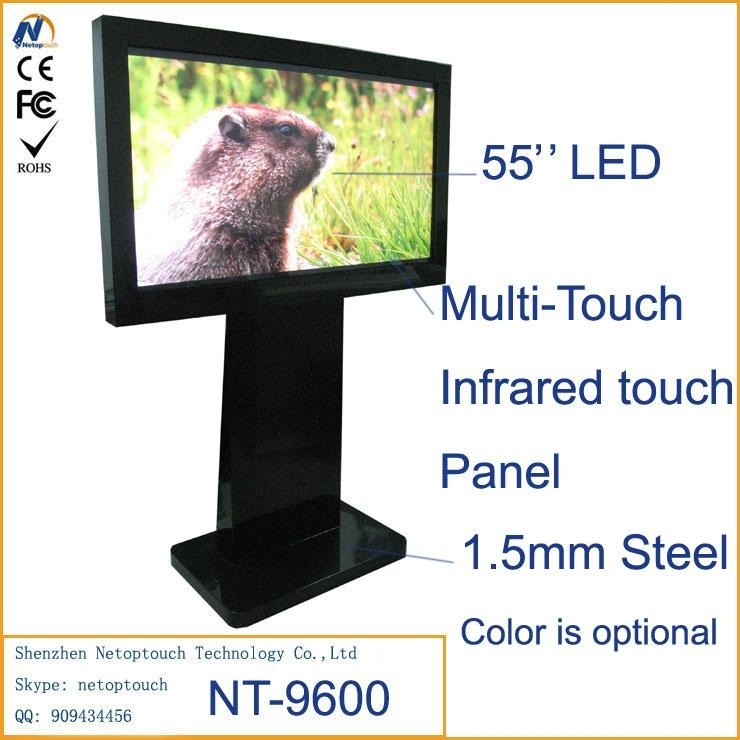 For touch screen kiosk which is bigger than 42'', we need use LED monitor, not only because it is with low power consumption, but also it is good quality with better price. 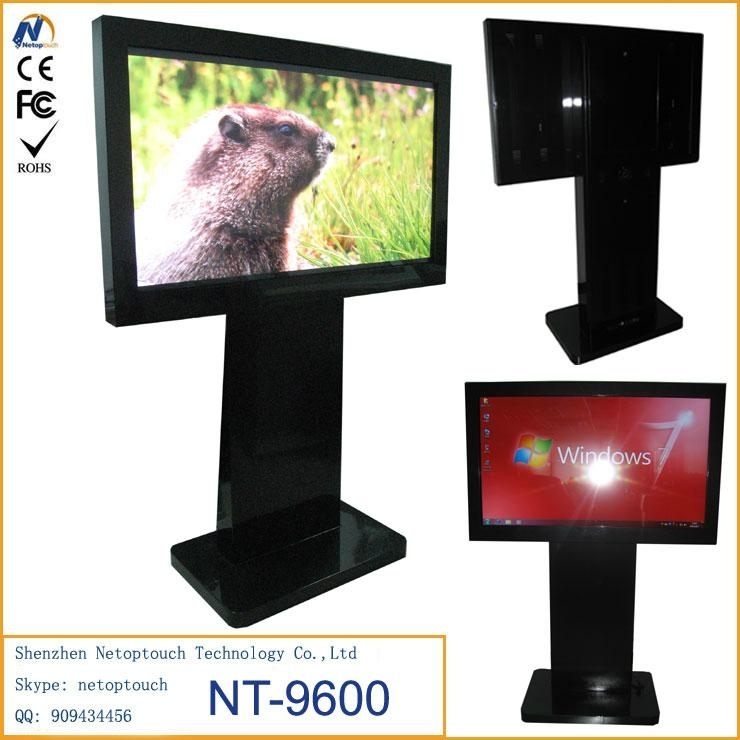 Till now, the biggesr touch screen kiosk we produce is 70'' touch screen kiosk. 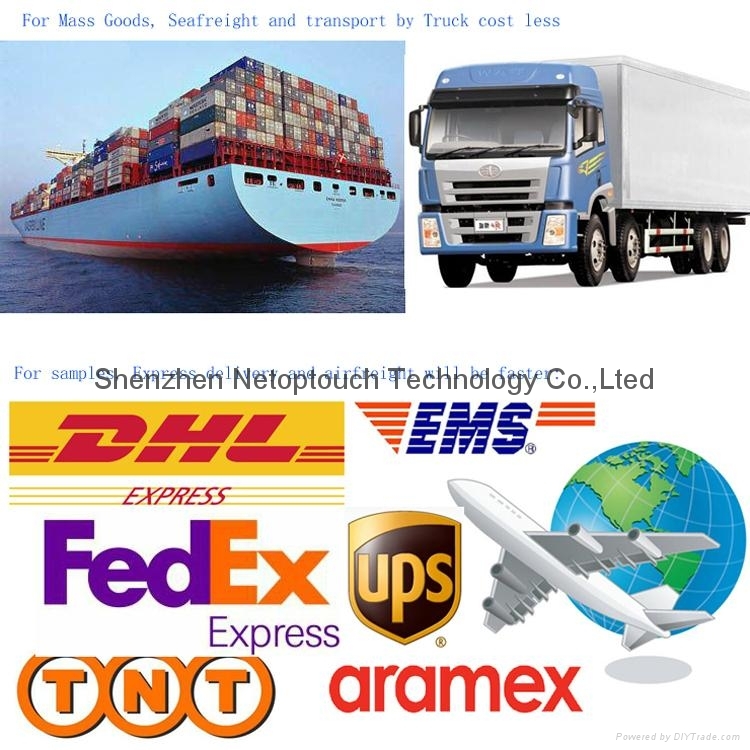 If you need bigger one, warm welcome to contact us. Notes: To the above components, you are welcome to order them seperately, such as only order the cabinet, or touch screen monior, and so on. 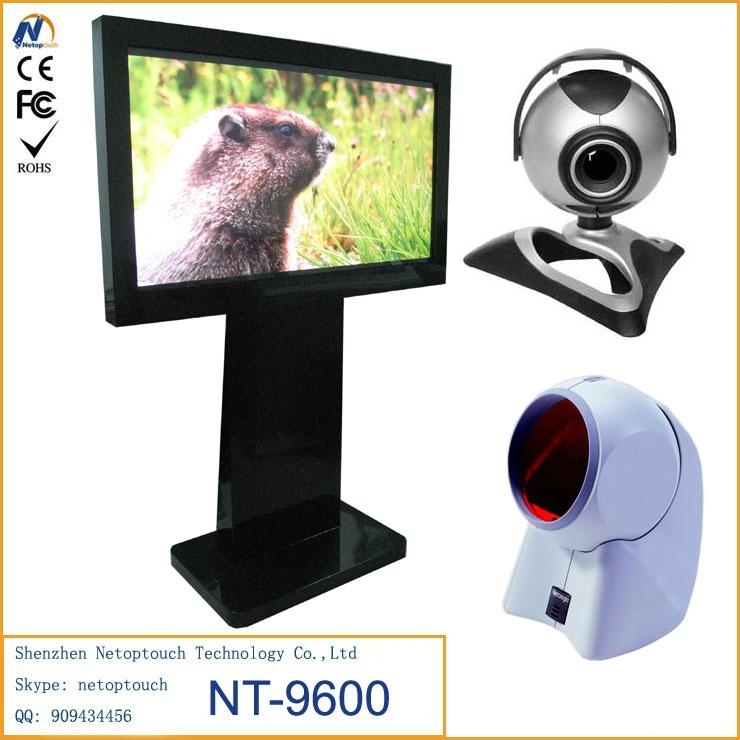 Support OS: Dos, Windows, Linux..
Anti dust, anti explosion and water proof. 2 point~32 point available. 1.2mm~1.5mm cold rolled steel, 2.0mm CRS available. 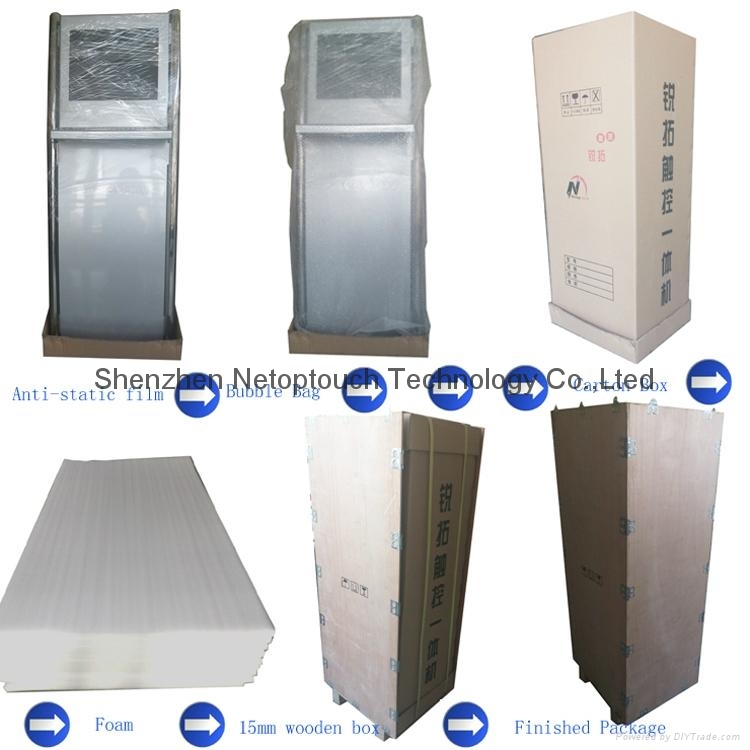 There are 4 layers total for kiosk, the first one is antistatic film, the 2nd is foam, the 3rd is carton box, and last one is wooden case for exporting. 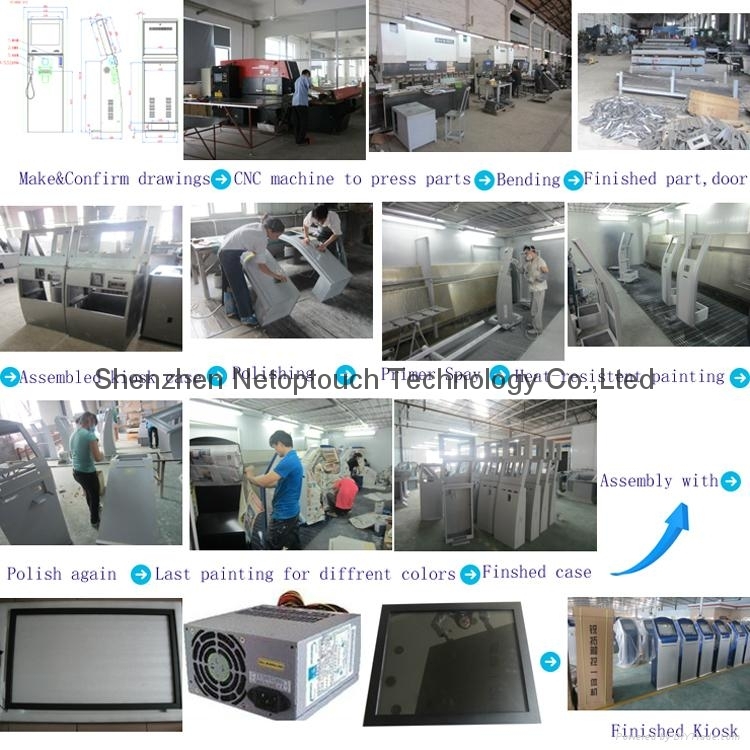 Notes: As a professional manufature in touch screen kiosk with more than 15 years, we supply kind of kiosk, such as information kiosk, touch screen payment terminal, self service kiosk for hundreds of client all over the word. 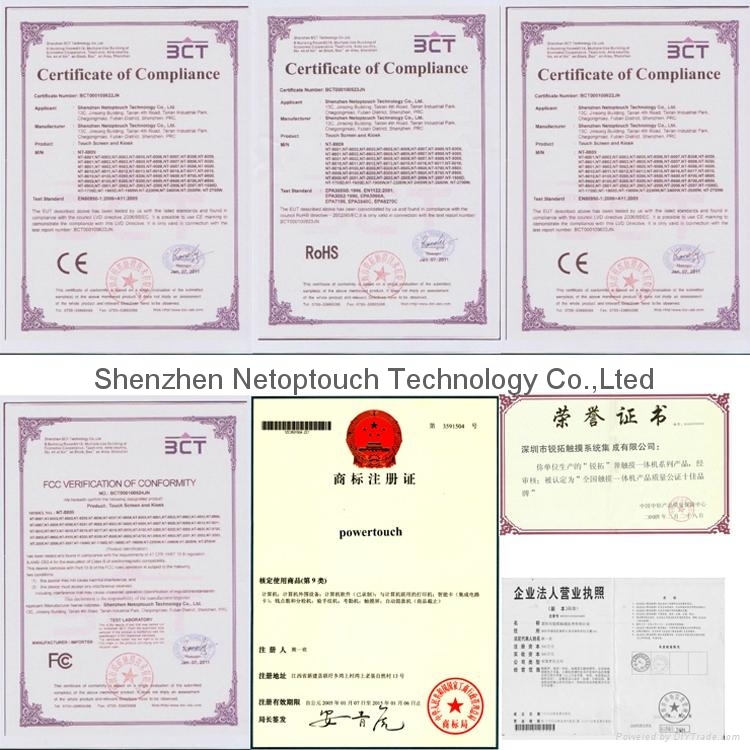 To get more information, warm welcome to contact us online or send us inquiry.